Live a Colorful Life: The time is near! And I'm not talking about the world ending on May 21. Actually I have way too many quilts that need to be completed so I'm hoping we're all around for a while longer. First of all, I was amazed and touched at the number of comments you all left on my post about not apologizing for who we are as quilters and our personal creative journeys. The message left by so many of you is that whatever is right for each of us should also be alright with anyone else. We don't know what is happening in the real lives on the other side of the computer, the parts that don't get written about, the things we don't know as we look at the quilt pictures and read the posts. Kindness is not a trend and respect never goes out of style. I have sewed, crafted and used my imagination with my creations since I was a child - before the internet, designers and blogs told us how things 'should be done'. And I will continue to do so, like you, with no apologies. Thanks for such a wonderful post. Now on to new business. I'm really excited to be starting a new series in May, just around the corner, called The Name Game. 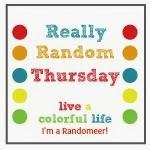 Do you ever wonder how a blogger chose the name for her blog? Did she have other names she considered? Is she still happy with the name she chose? The answers to things like "Is 'Crazy Mom Quilts' really crazy?" I assure you she is not, but she'll be one of the first to share how she chose that name for her blog. I'll be spotlighting bloggers, who will be answering just those very questions, and sharing some pictures of their work with us as well. There are already some really interesting bloggers in the lineup. Would you like to be spotlighted? Is there a blog name you have always wondered about? 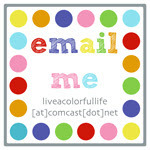 Email me, because I'd love to hear from you. Nominate yourself or someone else. I think this will be interesting, and who knows what secrets we'll learn? What fun ypor Name Game sounds like! I've seen a number that I have always wondered about, but off the top of my head I'll throw out Film in the Fridge & The Happy Zombie! I also would like to know where The Happy Zombie comes from..
What a great idea!!!! Maybe on the last day everyone can leave a comment or do one of those linky blog posts to explain their own blog name. Sounds like it's going to be a great series! Imagination power is a god gifted precious thing to a person. So you are lucky as my point of view. And thanks for sharing it with us. Wow, can't believe I've won your giveaway for this fantastic fabric and pattern. Thanks so much. 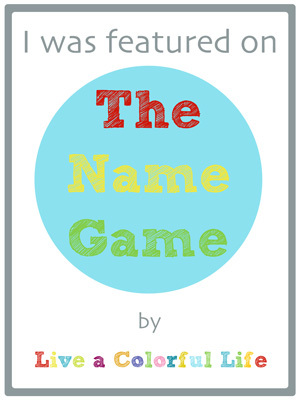 Really looking forward the Name Game - great idea! oh, i don't know...i may be a LITTLE bit crazy! :) look forward to your series. I'm ready for my close-up and to reveal all of the sordid details behind my blog name. hehe. Congrats to Diane! Looking forward to the Name Game. FUN! Just looking through my reader I can see some funny names - Little Boozle for one. Looking forward to seeing whose names are going to be explained! My blog started out as "Away to Me" which is a sheepherding term. But, I couldn't get it as a dot com or gmail address, so had to change it. This should be fun. After 5 days without power/phone/anything, we left home and are at a campground with wifi!!!! Yay!!!! Back to civilization for a few hours. What a great idea! I can't wait! Just let me know if you're not already bursting at the seams with blogs.